Under his leadership and distinctive ability, the Digital Marketing team has managed to win more than 70 awards and is considered as a vital contribution for HCL Technologies which has been regarded as the most awarded IT Services Company across the globe. He has also created a marketing measurement framework that has won the prestigious international ITSMA Marketing Gold Award, which is considered as the benchmark award for brand excellence in IT services. He has a strong enterprise technology background and holds experience in various industries including banking, finance, retail, publishing and capital markets. He has also led the Sales & Marketing process excellence team previously, which has been responsible for improving productivity of sales & marketing teams by providing world class platforms. 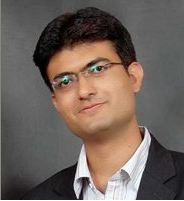 Gaurav has spoken at various global conferences.